Well now that the NDA has dropped, and the headstart is starting tomorrow, let me tell you (in a very long post… sorry about that…) what I’ve been up to for about the past week or so in gaming. Simply put: The Secret World. I’m all excited as it’s my first closed beta experience, so I wanted to take it all in. I posted a ton of bugs, explored a whole bunch, and really went to town checking out the starting area of Kingsmouth and all it’s secret society zombie filled goodness. However, I do have a few bones to pick with the advertising of the game. No classes? Not quite. No levels? Yes… and No. Awesome game? Absolutely. In my mind, setting is what makes the game. It’s why if I’m going fantasy, I like the Tolkien lore of Lord of the Rings Online, if I’m going sci-fi I like to go where no one has gone before in Star Trek Online, and if I’m in the mood for something a little more gritty and horror, I’d definitely pick The Secret World. The gritty horror theme is simply awesome. That, and the “M” rating (I’ve already heard more F-bombs and sexual innuendo than I ever expected to hear in an MMO ever) really give it an “adults only” feel. I was only able to play through the starting area of Kingsmouth, but the spooky, empty shoretown crawling with zombies and demons lends a startling realism that no MMO I’ve played has even come close to. Now, it could be that I live near the Atlantic Ocean and so visiting a shore town with large colonials and small shops is within an easy drive, and so the fictional town of Kingsmouth hits a little close to home. 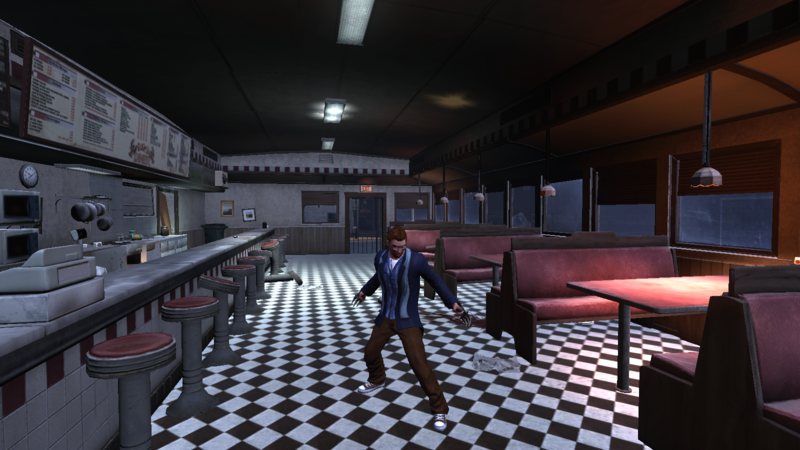 But the level of detail, down to the stained glass windows in the church or the listing of the day’s specials at the diner, lend a certain level of eerie familiarity that is just awesome. When it comes to missions, I’d love to say it’s novel and new and you’ve never seen anything like it, but really it IS more of the same. 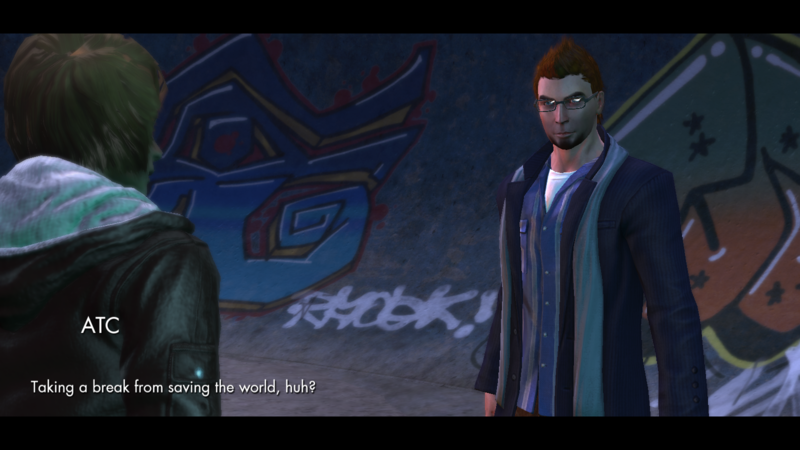 Missions in TSW are split into 6 types: Story missions, Dungeon missions, Standard missions, Espionage missions, Investigative missions, and Side missions. When you pick up a mission, it is already split into a chain consisting of multiple parts. Dungeon missions take place in instanced dungeons and I also assume are also chained… I didn’t play one. Story missions are an over-encompassing mission for an area, but is generally filled with the same stuff in the standard missions. Side missions are smaller, but have fewer steps in the chain. Espionage missions are solo (possible group, I haven’t experimented) instances. They involve puzzle solving, but mostly just sneaking. For example, one mission I had to avoid security camera’s lights to get to the back of a basement. Dungeons and Dragons Online has missions like this, where using brawn won’t help you. Investigative missions, though, are where the game really shines. Holy crap they are cool. The downside is they are so rare. Investigative missions just give you clues and say “Go nuts! Find it yourself!” No direction, no arrow pointing you to where you need to go. Its these quests that are the reason Funcom has put an internet browser INSIDE the game client, as they can be pretty tricky to figure out. See? Awesome. I love a good puzzle. I bet this is where most players will complain about the game, though, as many games make the questing process almost too easy, with giant arrows pointing you in the direction you need to go and players are too used to that by now. 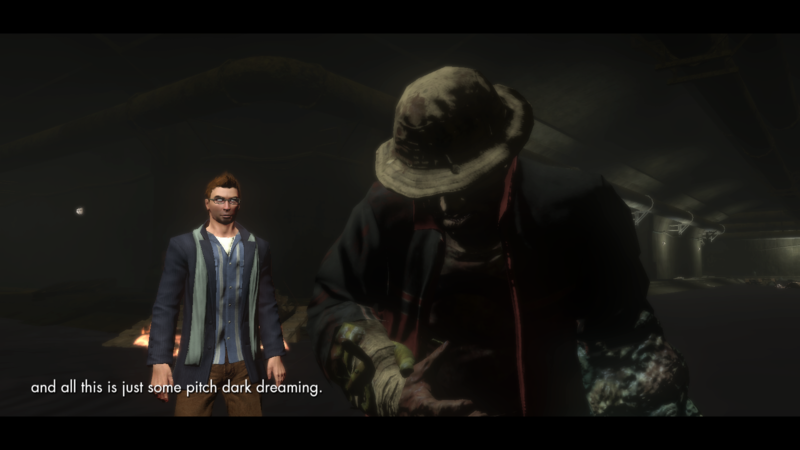 I mean, no worries, The Secret World has plenty of that, too, but it’ll throws you the occasional curveball, just to mix it up. Other than that, almost every mission in the game is repeatable. Everything except story and investigative, I believe. So, if you want to do a quest again to get more exp or a different item, you can after a certain time has elapsed. Every mission becomes a “daily”. This at least solves the problem of having mutiple players and everyone being on a different quest. Now, you can pick it up whether you’ve already done it or not. Combat is… well, combat. The combat system is like Guild Wars where you pick out a small number of active skills and triggered skills, with only one “elite” skill per type, and try to combine them in a way to create a synergy between them. In practice, though, it’s nothing we haven’t seen before. Targeting, area of effect, healing, dps, tanking, blah, blah, blah. Just replace bows and arrows with rifles and machine guns. It’s still fun, like pretty much most MMO gaming combat is, but it’s nothing really new. Has anyone told Richard Garriott about this? 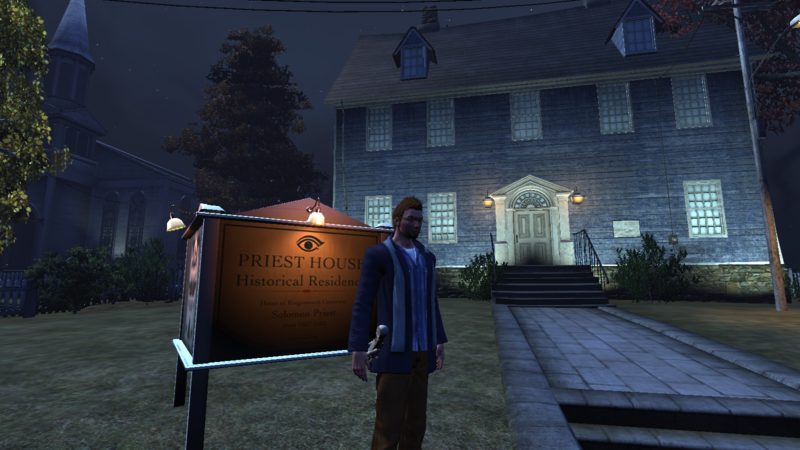 Awesome homage, Funcom. Here’s where I have a bone to pick with Funcom and their advertising of The Secret World. They say “There are no levels and no classes! Go nuts!” But really, there are. They just aren’t under the same trappings that we normally see them. “There are no classes!” When you create a character, it’s true… there are no set classes. However, shortly after you start playing, before you leave your home city, you pick a starting weapon. For me, it was a pair of Wolverine-style claws. I like to get toe-to-toe with the bad guys, and dealing damage over time effects is something I prefer. So, when it came to distributing Ability Points, where would I put them? Shotguns? Umm… no. Claw Weapons! For at least the beginning part of the game, your weapon IS your class. If you want to pick another weapon and make progress in it, well, that’s what the repeatable missions are for, but if you don’t want to do the same stuff over again, you stay with the same weapons. And finally, the coup-de-gras of “No classes”, when you complete a mission and get a new piece of armor as a reward, like a ring, they come in 3 distinct varieties: Defense + Healing, Defense + Attack, Defense + Hit Points. Son of a… This SCREAMS of the often mentioned and often duplicated Holy Trinity of Tank / DPS / Healing. Sure, there are no set classes, but if you want to be taken seriously as a tank, well then you better pick tank items/weapons/skills. Same goes with DPS and Healing. So, although The Secret World doesn’t have specific named classes, it does carry the heavy weight of the Illusion of Choice, and really narrows you down to the three most common gaming stereotypes if you want to be viable for running more intense stuff. In Conclusion: Awesome… but I’ll pass (for now). So yeah, the classes are the holy trinity, the levels are levels without numbers, the combat is the same that we’ve seen before, and most missions are the same kill/fetch/deliver missions we’ve seen and done time and time again. However, want to play a game where you have to actually use your brain? Where they not only treat you like an adult who knows what they are doing, but also give you a setting you’d feel uncomfortable showing to your grandmother? THAT is the real pull of The Secret World. Will I be playing it at launch? I’ll be honest, I did not pre-order, and although the Investigative Missions were fun, and the setting is amazing, it’s just not enough to pull me in. So I don’t think I will be. A few months from now if there is a good sale, I can definitely see myself picking it up and playing for a month or two. But sadly, paying a subscription? When there will be such great games out there like Guild Wars 2 come the end of August that will offer so much but with no subscription? It’s a hard sell. However, if Funcom can keep up a good pace, look to Trion as an industry example, and keep the content flowing, The Secret World might be a sleeper success. I really do hope it does well. 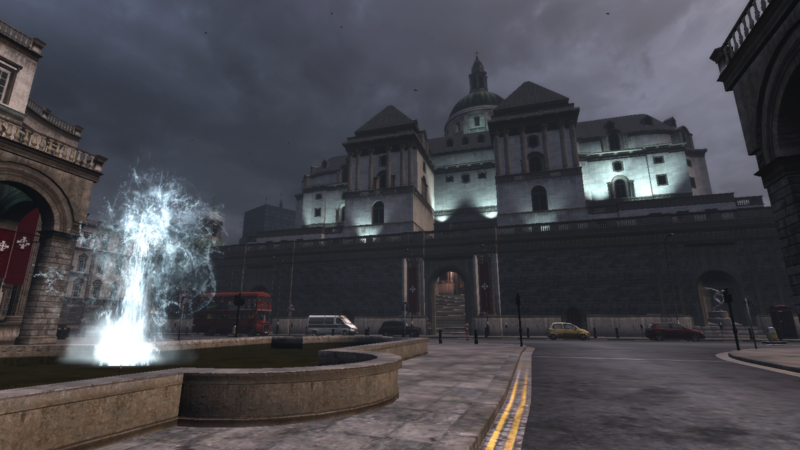 This entry was posted in Screenshots, The Secret World and tagged Beta, Funcom, Illusion of Choice, Investigative, Kingsmouth, London, Something Wicked, Tabula Rasa, Templar, The Secret World, TSW by Ocho. Bookmark the permalink. This is actually almost the exact same thoughts I had about the game. To be honest, if it wasn’t a subscription MMO I would probably pick it up, but I think the days of paying a monthly sub are long gone in my mind. Good review. It sounds interesting but not enough to catch my attention for a subscription game. Star wars is ALMOST enough to get me to sub but I cannot bring myself to pay for it. I feel if I were to pay x number of bucks for a 30 day sub that I am not obligated to play and I don’t like that mentality. Its been a lot of the reason why I don’t really play mmo games much anymore. Thanks man! To be fair, since I’m a huge fan of setting, I really did like TSW… but nowadays, I just can’t see shelling out box AND sub anymore. Not when there are so many good games out there. Sounds like Star Wars is going to be going F2P in the nearish future. I’m excited to play all of the single player storyline as from what I’ve seen that’s the best part of the game. I wasn’t willing to pay $60 + $15 a month for what I perceived as Knights of the Old Republic 3 MMO Edition. Quazal, your handle is suspiciously close to mine. Are you me from a mirror universe come to kill me so you can be more powerful? Lol, its one of two I use. It came from an old mud back in the day. What it ended up being is your stats were based off your name. A friend and I found out all the combinations of letters that bumped certain stats. We would then try and make up names based on that using all 12 letter fields. That was the first 6 letters of one of the names and I liked it and it stuck. Nerd history lol. Mine was also a random occurance. Way back in the 90’s I was doing the BBS thing and as I started getting the Internet I found that my initial handles of Hawkeye and Cyclone were long gone and hated the whole “throw a number on the end of it” idea. So one day I started randomly banging keys until I ended up with qadzi… added the u to follow English language semi-standards and a star was born! Well, sort of.